They say that sharing is caring and care about you, I do! 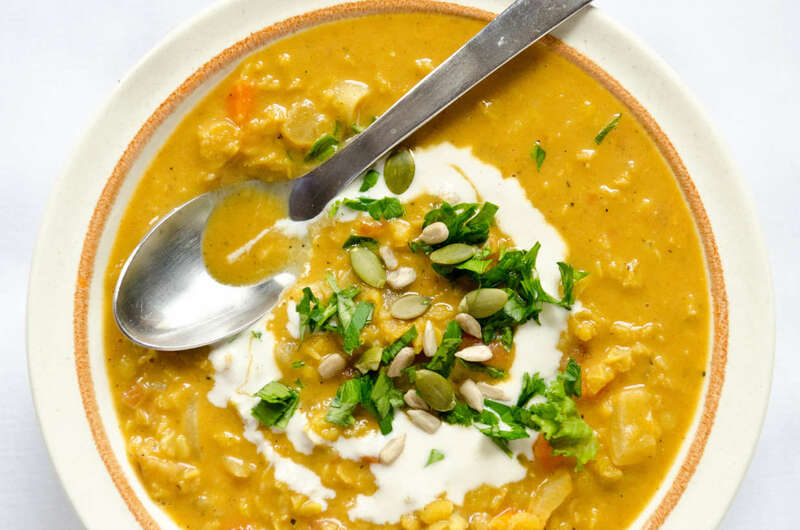 So I am sharing my favourite, hearty curried coconut lentil stew to warm up your cold winter nights. Loaded with vegetables, healthy fat, fibre and quality protein – this stew is a well-balanced meal perfect a cozy night in. Warming spices of garlic, ginger and turmeric also boast anti-inflammatory properties and bolster your immune system during cold & flu season. This stew is also ideal for weekend meal prep. It takes just minutes to prep followed by 20 minutes on the stove. Allow it to cool before ladling into glass storage containers to keep in the fridge for a speedy, weeknight meal. Or freeze it in small batches for easy single serving lunches down-the-road. 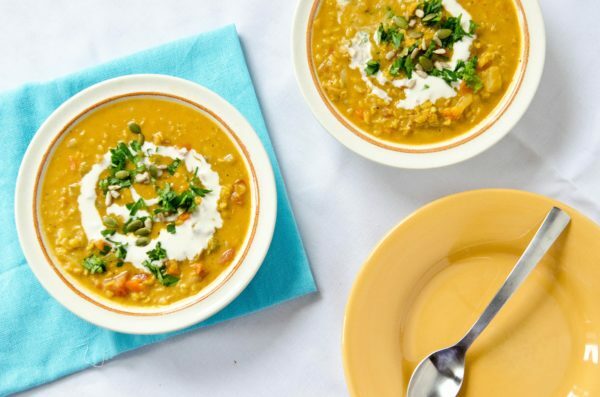 A quick and easy yet deliciously hearty lentil soup flavoured with warm spices and creamy coconut milk. The perfect, cozy soup for a cold night in. In a large pan, heat coconut oil over medium-high heat. Add onions, carrots and celery and sauté for 8 minutes or until the onions are translucent and starting to brown. Add the garlic and sauté another minute. Add the grated ginger and curry powder. Heat through another minute or so, until the spices become very fragrant. Add the diced fire-roasted tomatoes, vegetable stock (water) and 1 cup of red lentils. Bring to a boil, then reduce heat to a simmer. Cover then cook stew over low-medium heat for 20 minutes, or until the lentils are nice and soft. Add more vegetable stock or water if the mixture becomes too dry. Season soup with sea salt and cayenne pepper (if using). Whisk in 3/4 of the can of coconut milk into the stew. Simmer another two minutes then squeeze in juice of one lime. Ladle soup into bowls. Drizzle with remaining coconut milk followed by chopped fresh cilantro. Enjoy! Subscribe to my newsletter to receive delicious recipes, useful nutrition advice and fantastic cooking & meal prep tips.